For the last two years, the World Heritage Centre has been assisting these countries in a pioneering project: the preparation of a single nomination for the inclusion of Qhapaq Ñan in the World Heritage List, which entailed an original and innovative regional cooperation process. Qhapaq Ñan, the Main Andean Road, was the backbone of the Inca Empire's political and economic designs. An estimated 6,000 kilometres long, it linked up a coordinated network of roads and infrastructure constructed over more than 2,000 years of pre-Inca Andean culture. The whole network of roads, over 23,000 km in all, connected various production, administration and ceremonial centres. The Road, the Main Road, also known as the Royal Road, is the path that runs along the peaks of the Andes, and the route stands out most clearly between Quito and Mendoza. In addition to this backbone over the highest peaks, other roads also run in a north-south direction along the Pacific coast. Between the two, other similar roads, like transverse corridors, link up the coast, Amazonia and the Andean high plateau. The Inca road network connected the centres of power with warm valleys, deserts and forests in the most distant corners of the Empire. The road links meshed together all kinds of relations in the territory. The cordillera was not suitable for radiating roads and the route was per force longitudinal, following a basic pattern of traffic intersection hubs and branch roads that became smaller and less dense further away from the trunk roads. It was built in response to commercial, political, administrative, strategic and military interests, running over the peaks and down into the valleys of the Andean cordillera to deliver the Empire's letters to its most remote outposts. The network of Inca roads enabled the expansion and organization of the Inca Empire. Owing to the skill of the Wari and Chimú cultures, ethnic groups, sanctuaries and pre-Columbian tombs had already been linked up on a regional scale, setting a precedent. The Inca Empire organized its network continent-wide; its roads are an invaluable expression of the organizing and planning spirit of the available labour force and constituted a key instrument in unifying the Empire physically and organizationally. It is a mega-unit of universal value, a great multinational system. Meetings of experts have been held to identify the cultural significance and unitary value of the entire network with a view to considering options for its inclusion on the list through various forms of technical cooperation. The Main Andean Road is a supreme example of unsung heroism, of knowledge-laden elementary forms that cross ecological and economic differences vertically, connecting cultures that are indissociably linked to one of the most extreme geographical situations in the world. In the case of the roads, the construction skills used far exceeded the functional needs of a communications network. The enormous typological variety of scales, techniques, finishes and layout, borders, construction forms and materials are again evidence of technically flawless construction skills. The detail with which they attempted to attenuate altitude-related problems using human beings only as the motive force for construction purposes, since there were no draught animals and the wheel was unknown, and only crude stone and wood or metal tools, gives a good idea of a great and successful imperial adventure achieved in only a few generations. The skill with which the roads were planned and the accuracy with which they were built were complemented by painstaking ongoing maintenance and renovation programmes. The Incas of Cuzco achieved this unique infrastructure with a unitary character in less than a century, making it functionally coherent and establishing additional centres for commerce, exchange, production and worship, adapting production sectors to topography and climate, in each and every ecological area to be found along the Road. However, Qhapaq Ñan was also a communication route, which permitted the dissemination and maturity of regional cultures and the appropriation of shared cultural values, owing to the expansion of languages such as Quechua and Aymara and the concomitant spread of culture and world views. The Road also expressed these peoples' harmonious relations with and adaptation to the complex Andean nature. Today, the cultural landscapes of Qhapaq Ñan form an exceptional setting in which living Andean cultures continue to convey a universal message: the human ability to turn one of the harshest geographical contexts of the American continent into an environment for life. In May 2001, Peru took the initiative in including Qhapaq Ñan in its Tentative List (twenty-fifth session of the World Heritage Committee, held in Helsinki). The governments of Argentina and Chile subsequently joined the initiative. In March 2002, during the first meeting on World Heritage Periodic Reporting, the focal points of Argentina, Bolivia, Chile, Ecuador and Peru drafted the document "Pre-Hispanic Andean roads and the routes of Tahuantisuyo", which summarized their proposals for taking the initiative forward. 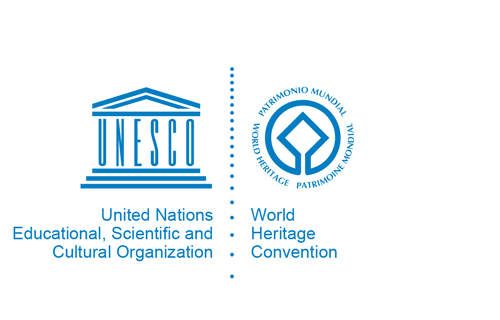 On 29 January 2003, at UNESCO Headquarters in Paris, the Permanent Delegates of the Andean countries by common consent requested the World Heritage Centre to take charge of overall coordination of the project and to assist them in the procedure for placing heritage property on the list, since it constituted a methodological reference for devising the inclusion procedure for a site common to six States Parties to the World Heritage Convention, the first of its kind in the experience of the World Heritage Centre's Latin America and Caribbean Unit. On 1 and 2 April 2003, the Peruvian government held the First Regional Technical Meeting Qhapaq Ñan - Inca Road in Lima to define the criteria for the nomination process and guidelines for the initiation of regional cooperation with a view to the submission of a single nomination to the World Heritage Committee. In May 2003, on the occasion of the sixteenth meeting of the Rio Group, the Presidents of the six Andean countries undertook in a specific statement to support the Qhapaq Ñan - Main Andean Road project for inclusion in the World Heritage List. At its twenty-seventh session, the World Heritage Committee clearly expressed its interest in the project in its decision 27 COM 13.2. On 24 and 25 October 2003, the World Heritage Centre held, in Cuzco, the second meeting of experts on the process of nominating Qhapaq Ñan as world heritage. From 4 to 7 April 2004, the World Heritage Centre held, in La Paz (Bolivia), the third meeting of experts on the process of nominating Qhapaq Ñan as world heritage. Thanks to these meetings, and under the auspices of the World Heritage Centre, the governments of Argentina, Bolivia, Chile, Colombia, Ecuador and Peru have agreed on the basic principles for the successful nomination of Qhapaq Ñan. local communities, whose long-standing customs and traditions are an essential part of the Andean cultural system, should be key actors in the nomination process and in the management of the cultural property. The need to pay special attention to the indigenous communities along the Road was acknowledged as an essential factor in enhancing the value of the intangible heritage of Qhapaq Ñan. The following are considered to be components of the intangible heritage: languages, traditions, dances, rituals, oral culture, gastronomy, productive activity, social organization and the symbolic organization of the landscape, as defined in the UNESCO Convention for the Safeguarding of the Intangible Heritage (adopted by the General Conference in 2003, in Paris). the group agreed on the need to reflect on participatory methodologies for the nomination, giving rise to strategic alliances with well-defined responsibilities for those involved in the process, communication strategies to facilitate understanding, and ownership of the process of nominating the heritage site. October 2004: Training course in satellite mapping. Representatives of the six countries responsible for the cartographic documentation of the respective national nominations will meet in Argentina to take forward the joint effort to make a single cartographic representation of the entire length of Qhapaq Ñan that may be nominated. November 2004: Fourth meeting of experts on the process of nominating Qhapaq Ñan as world heritage, in Chile (San Pedro de Atacama). The discussion will focus on the participation of indigenous/local communities in the Qhapaq Ñan nomination. The representatives of Argentina, Bolivia, Chile, Colombia and Peru, meeting in the city of Cuzco on 24 and 25 October 2003, on the occasion of the Qhapaq Ñan - Main Andean Road Technical Meeting convened by UNESCO's World Heritage Centre, stressed the importance of this initiative for regional integration, recognition of cultural diversity, local community development, the preservation of the environment, the promotion of indigenous and rural communities, poverty alleviation and the development of sustainable tourism. In view of the complexity and scale of the project, they agree to propose that UNESCO combine its efforts with those of other international organizations such as the Organization of Ibero-American States for Education, Science and Culture (OEI), the Inter-American Development Bank (IDB) and the Andrés Bello Convention, and non-governmental organizations in order to create synergy to facilitate its satisfactory execution pursuant to the agreements reached at the Sixth Ibero-American Conference on Culture (Santo Domingo, 2002), the Twelfth Ibero-American Summit (Bávaro, 2002), the Joint Statement by the Presidents of the Rio Group involved in the project Qhapaq Ñan - Main Andean Road (Cuzco, 2003), the Seventh Ibero-American Conference on Culture (Cochabamba, 2003), and the Seventh Ibero-American Conference of Ministers of Tourism (Santa Cruz de la Sierra, Bolivia, 2003). Taking into consideration the forthcoming Ibero-American Summit, to be held in Santa Cruz de la Sierra on 14 and 15 November 2003, they highly recommend that this matter be placed on its agenda for consideration.